North America WCQ: Winners of the 3 vs. 3 Tournament! Take a look at the winners of the 3 vs. 3 Tournament at the 2018 North America WCQ! 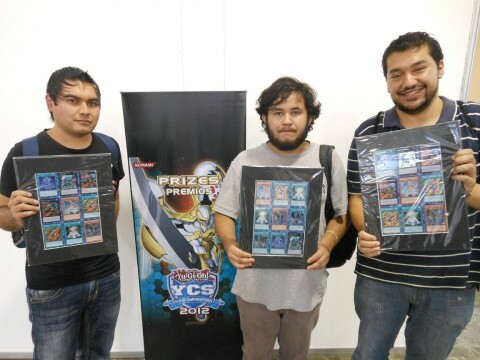 Congratulations to the winners of our 3 vs. 3 Team Tournament at YCS Secaucus! 3 vs. 3 Tournament Winners! Congratulations to the winners from our 3 vs. 3 Team Dueling tournament, Team The Valley! YCS Toronto’s 3 vs. 3 Team Tournament Winners! Check out the winners of this weekend’s 3 vs. 3 Team Tournament! The 3 vs. 3 Team Tournament has come to an end. Winners of the 3 Versus 3 Tournament! Check out the winners of the 3 versus 3 tournament! 3 vs. 3 Team Tournament Winners! Here are the Top 4 teams of our 3 vs. 3 Team Tournament! Team “2 de aca y uno de alla” (2 from here and one from there) has gone undefeated in the 3 vs 3 Team Duel tournament and have won themselves a 3×3 uncut sheet of Secret Rares!